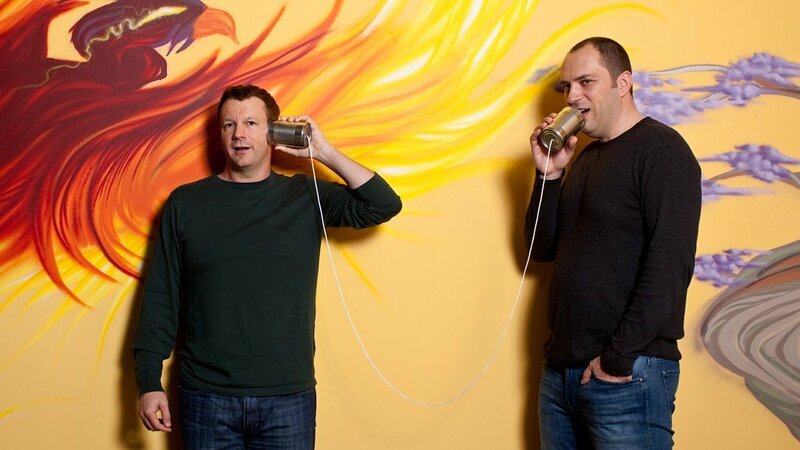 Home Business Jan Koum’s WhatsApp Story: Technologies ultimate rags to riches tale? It’s the biggest technology acquisition since Time Warner and AOL joined forces, and if any further evidence was needed, it heralds the tech bubble 2.0. But what is the WhatsApp story and how did Facebook come to shell out $19 billion on acquiring it? Jan Koum’s WhatsApp story is in many ways the classic rags to riches story. The story begins in Mountain View, California on an unassuming and low key road that borders the towns CalTrain railroad. The companies Co-Founder used to stand in line on this spot collecting food stamps, yet a mere half a decade later, he choose the same spot – which in the intervening period had become his companies low-key HQ – to pen the deal with Facebook. From food stamps to a $19 Billion dollar exit within a decade, rags to riches stories don’t come much bigger and more spectacular than this version offered by Jan Koum? The rags to riches story is made all the more poignant by the circular loop that the story follows. That food stamp queue would always remain a source of inspiration; in many ways a brutal reminder of a life less privileged. Choosing to place your red-hot tech company’s headquarters so close is life’s ultimate reminder. Koum is now 37 years old, meaning in some ways he breaks the mould of the typical Silicon Valley wonder-kid. This is no spotty nosed teenager who ‘had it tough’ in his early teens, trying to juggle the paper round with Harvard. This is a gnarly, experienced and battle toughed man who’s spent his life on a roller-coaster. How perfectly fitting that the food stamp queue would be the location for the penning of the mega-deal? And make no mistake about the value of this deal to Jan Koum personally. This isn’t your typical start-up tech company story where the founders have long since been diluted to the point of an exit being nearly valueless, on a personal level. Koum apparently retained 45% of the company up to exit day, meaning he stands to make $6.8 billion personally. Imagine going from an upbringing in Kiev, Ukraine, raised as an only child in a house with no hot water. Such was the environment he grew up in, his parents didn’t dare speak over the phone for fear that the authorities would be listening in. It was however, a simple if unprivileged backdrop to his formative years, and it’s that simple existence that he pines for to this day. It ended for him at 16, when his mother uprooted them to Mountain View. By this stage, the family had been plagued by anti-sematic abuse. With a suitcase filled with notebooks and pens – ensuring that the young Koum could attend school without incurring stationary fees – they went seeing the American dream. As is the case for so many families like the Koum’s, that American dream meant working multiple low-paid jobs to make ends meet. America was a culture shock in every meaning of the word, not least for a 16 year old, the way friendships are formed. American superficial-ness – on the surface at least – meant that Koum found making friends difficult. At home, friendships were forged over time, and small bands of friends would remain close for life. In America it was different, far more casual and flighty. At such a pivotal moment in a person’s life, it was both difficult but ultimately character forging. Koum was learning lessons in life far faster than his new school could deliver academic teachings. By 1997 he had attended San Jose University and was moonlighting at Ernst & Young. It was here that he ended up sitting next to Acton, who was formyl the 44th employee at Yahoo. Seemingly the spark was formed, leading Koum to a career in the high-tech space. Next stop for Koum was Yahoo, on the advice of Acton, and herein lays the story of him dropping out of school. It had been an uneventful enough day in the classroom when Koum’s phone rang. Discretly answering the call from the back of the classroom, Koum learned about a catastrophic server crash at Yahoo. The caller was no less than Yahoo’s co-founder David Filo. Filo needed all engineering hands on deck immediately. Koum didn’t care much for school anyway, so right there and then he cantered out of school and never returned. Like so many tech entrepreneurs before him, Koum would make his fortune without the aid of any formal certificates and qualifications. Three years later he lost his mother to cancer, meaning he was alone in California. Acton, would become his support network, but became financially troubled himself. As an internet pioneer he backed the internet big right around the time it went bust, costing him the fortune that he’d accrued from being the 44th pair of hands at Yahoo. The crash killed Koum’s love affair with Yahoo, and he would later – via his LinedIn profile – summarise his final three years as “I did some work”. In truth, by all accounts, it wasn’t much work as he was biding his time to strike loose. The early incarnations of Koum’s app were bug ridden and performed terribly. Two months later, and he was ready to quit. Acton, ever the giver of prophetic advice by this stage, warmed him that quitting now would be disastrous. He was advised that he’d ‘be an idiot to quit now’ he should instead battle on and ‘give it a few more months’. By June there came light at the end of the tunnel, not least due to the advent of push notifications. Status updates started pinging your network, and the original ‘status idea – all of your contact book could have a status next to their name – instead became instant messaging. A free, mobile led instant massager was a unique enough proposition in 2009. The only competition was BBM from BlackBerry, a company who’d dominated the early smartphone years but whom were quickly falling off the pace. A meagre year later and BlackBerry were scarcely relevant, overtaken by the surging iPhone. WhatsApp was booming, building a lead that the new wave of competitors would never be able to cut. By 2014, revenues were up to $20 million. Facebook came knocking, offering a 1,000x revenue exit. It’s no great surprise that Koum and his team accepted, and the deal was concluded in a staggeringly short eleven days, bringing to a close one of the Valley’s greatest ever rags to riches stories. Next articleDo activity trackers and fitness bands really work? Do they help you lose weight?